A group of public transportation in the Philippines that has the high tendency to disrespect and violate many traffic rules -- no counter-flow, no U-turn, no left turn on certain streets, no parking, etc. -- are the tricycles. These are motorcycles with a "sidecar". 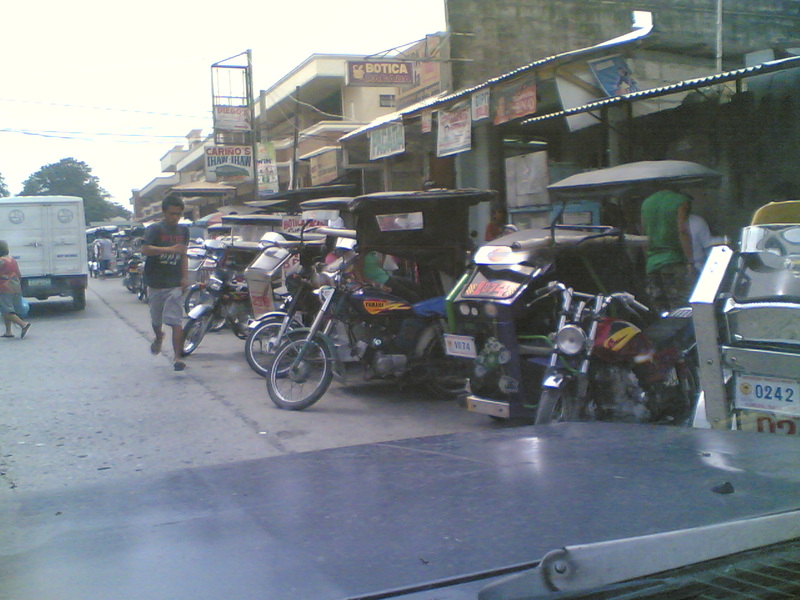 Tricycles are regulated by the local governments (cities and municipalities), not the national government. 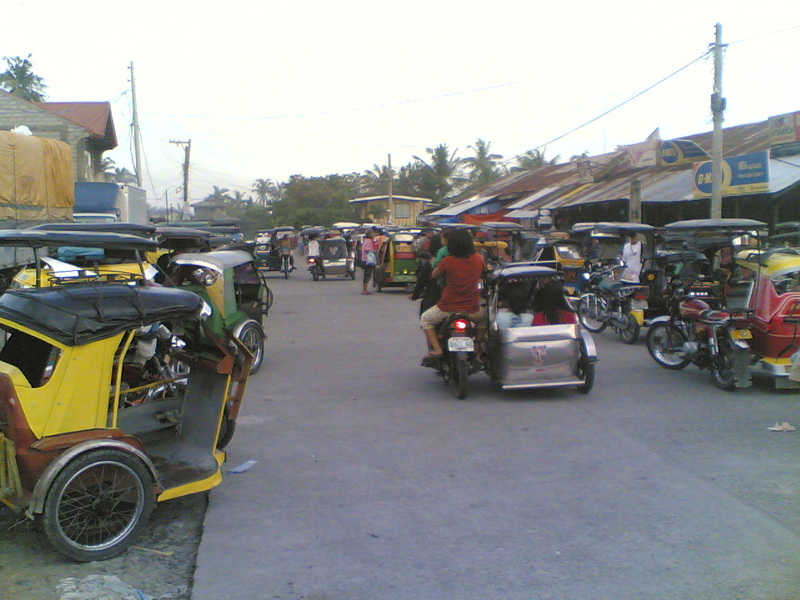 In many towns and cities in the country, tricycles dominate as the main form of public transportation for short distance travels, like within the city proper, or from the barangays to the cities and towns. They indeed provide public service to the poor, as otherwise less- or non-accessible areas can be reached by tricycles. Farm products are also brought to the market and consumers via tricycles. But when there are too many of them in a particular area, it can result to a sometimes chaotic situation. And that is where large-scale violation of many traffic rules by these small-scale public transpo occur. Certain intersections that should be clear of vehicles are now filled with so many tricycles waiting for passengers. Tricycle fares are also not exactly cheap. Because they carry only a few people, up to 5 squeezely-seated and passengers, they have to charge fares higher than the minimum fare charged by jeepneys and buses. It is discomforting for passengers to ride in tricycles, especially when it rains. The tricycle drivers will insist that the 5 seats (3 in the sidecar, 2 at the back of the driver) should be taken to pay the regular fare, say at P10 per passenger. If a passneger wants some "comfort", he will have to hire the tricycle for himself and pay P50 for the "special" trip. This is more expensive than an air-conditioned taxi ride for trips below 2 kms. But what is dangerous, and sometimes annoying, is when tricycles are taking the national or provincial roads and highways. These slow vehicles, especially if they are heavily loaded, compete for road space with cars, trucks and buses. 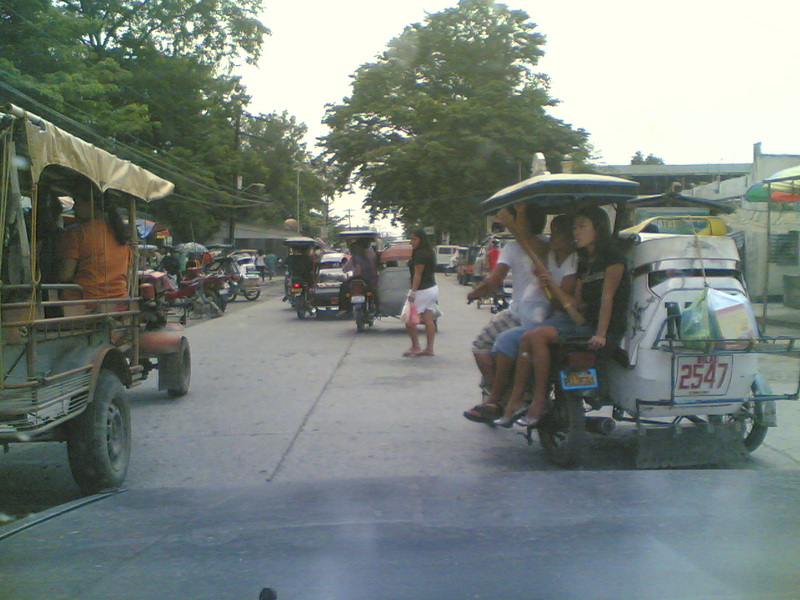 A number of accidents on highways can be attributed to tricycles as some impatient motorists overtake a long queue of other cars and buses, "held up" by a slow tricycle. When another fast moving vehicle would come from the other direction, that's when accidents or near accidents happen. Local governments make a lot of money from tricycles, that is why they allow these to proliferate. Tricycle drivers and operators can also constitute a strong political and lobby force during elections. Certain national rules like prohibiting tricycles on highways should be implemented. National transport rules like franchising should be relaxed to allow jeepneys and air-conditioned vans to enter certain routes to compete with tricycles. Competition will reduce the demand of passengers for tricycles. No government coercion, national or local government, will be needed. Just give the passengers more options, and many of them will take the alternative public transportation and the tricycle transpo will slowly die a natural death. Tricycle and jeepney drivers and operators are among the target “beneficiaries” of some party-list groups that are running in the coming elections. They say that this sector is highly marginalized and hence, must get more state subsidies and protection. I beg to disagree. Tricycles are part of supply-demand dynamics in public transportation. A new subdivision is suddenly created/developed out of grassland, no public transpo to bring the construction workers and new residents to the site. Tricycles suddenly pop up. They are quick and useful. 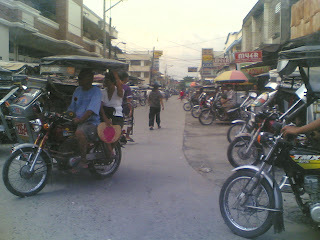 Many years or decades after, tricycles still monopolize that route even if the subdivision has become so large, because tricycle operators have lobbied hard and succeeded in convincing the city or municipal officials and the LTFRB that jeepneys and air-con vans should be banned from serving "their" route. If local government units and the LTFRB -- the transport route franchise issuers -- are absent, and any road is free for all who will provide public transpo, the government’s role is only to control traffic gridlock and apprehend traffic violators, tricycles and old jeepneys will die a natural death. No one will ride a tricycle when a jeepney that charges the same fare, even lower, is available. And few will ride old jeepneys when air-con vans and buses will offer the same route at a small fare difference, say only P1 or P2 difference. What makes public transportation operation somehow expensive, is the expensive franchise fee and unwritten fees to expenditure the process that the LTFRB charges per unit. Also the huge cost of LGU lobbying in the case of tricycles. 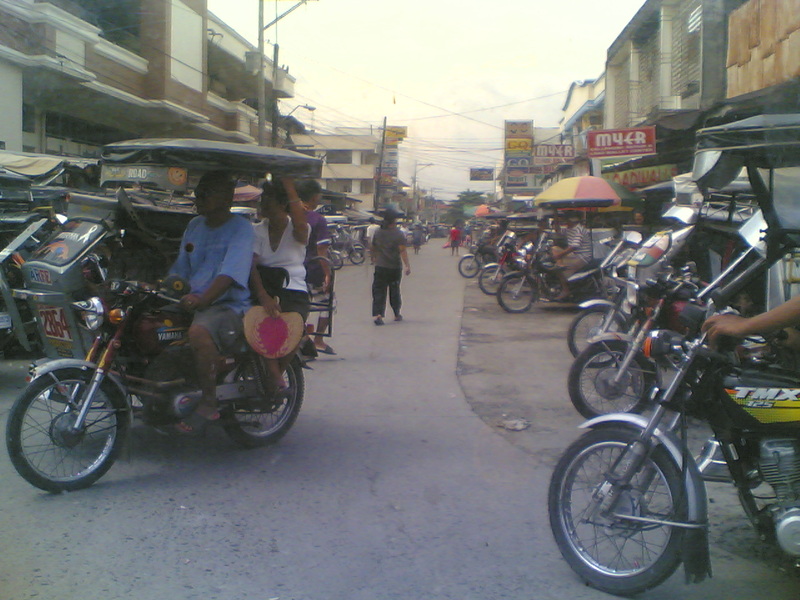 Many subdivisions in Metro Manila and the provinces are dominated by tricycle monopolies for the past few decades. Tricycles are "untouchables" in terms of route monopoly. They may look "kawawa" but they can be arrogant in bullying competition by other public transportation -- jeepney, vans and buses. Tricycles should not be in highways but they are allowed to go there. Only tollways disallow tricycles. Cars and other fast vehicles are sometimes "trapped" by slow tricycles in highways but the cars cannot easily overtake those tricycles because some roads can be narrow, dilapidated, winding, or there are plenty of in-coming vehicles on the other side of the road. As more vehicles are trapped, some drivers become impatient, they overtake even in the curves, causing near- or actual accidents. Those tricycles, tractors and other slow vehicles in highways are road hazards but they are given government protection to ply the highways. More developed Asian countries, big and small, do not have low-passenger capacity vehicles like tricycles. They only have buses and trains. Like Singapore, Hong Kong, Malaysia and Thailand (a few tricycle-type “tuktok” vehicles can be seen in Bangkok). Ultimately, tricycles should go away. Not by government coercion but by commuters’ choice. Just give the commuters more choices and they will chosse the one that gives them comfort, safety and inexpensive fares. Tricycles will die a natural death. The problem are the government agencies that collect lots of fees and taxes from tricycles, and give those bureaucrats the power to grant route monopolies. Route A is a tricycle monopoly. Route B is a jeepney monopoly. Route C is bus monopoly. Route D is open for jeepneys, vans and buses. This is the kind of administrative power that some government transport bureaucracies enjoy and would not wish that such power be taken away from them. Voters’ attention is focused on the politicians running for elections and whose term will end after three years or six-years. They sometimes fail to see that a big part of their disappointment with government rests with the non-elected and entrenched bureaucrats at the local and national government levels. These are the bureaucrats who have been in government for 10, 20, 30 or more years. They have some power to set policies by issuing administrative orders and ordinances. These are different from laws created by the local and national legislatures, different from Executive Orders issued by the President. The continued persistence of small and dangerous but government-protected public vehicles like tricycles is somehow a reflection of the government’s preoccupation with something small even when bigger alternatives are available. imo, tricycles should not exist in the first place. they are the reason why sidewalks cannot be utilized too. Yes, even small population countries like Sing, HK, do not have tricycles. Buses and trains should be encouraged, with or without public spending to develop these mass transpo system.